Seán Doran is one of the world’s most highly acclaimed artistic producers in international multi-arts festivals and events. His artistic leadership has spanned several countries and two continents in opera, literature, visual arts and the performing arts. He is currently Artistic Director & Chief Executive of Arts Over Borders (Ireland) and Co-Director of the ideas and programming consultancy DoranBrowne (London). ‘It is surely the most distinctive and brilliant achievement on the London operatic scene in more than a decade. This is one of the those rare productions that truly enhances an opera. An unmissable masterpiece.’ THE DAILY TELEGRAPH 2010 (Satyagraha, English National Opera). A former Artistic Director & Chief Executive of the English National Opera (2003-2006), Seán was the first Irishman to head one of England’s national arts companies. It was his concept to take opera to Glastonbury’s Pyramid Stage with a 100 piece orchestra & 9 singers for Wagner’s Valkyrie (introduced by John Peel on live television) and also to grass Trafalgar Square for its first opera. His executive leadership secured £5m in sponsorship for ENO from SKY and his artistic legacy resulted in securing an unprecedented all eight best opera nominations at the 2006 London Olivier Awards. At ENO he commissioned film director Anthony Minghella’s first opera (Madam Butterfly), Deborah Warner’s Death in Venice production and brought together composer Philip Glass and director Phelim McDermott resulting in their Satyagraha subsequently staged at the Metropolitan Opera New York. In the past decade, Seán Doran co-curated with his long time artistic partner, Liam Browne, Liverpool’s Sgt. Pepper at 50 Festival (2017) delivering thirteen stand-out world premiere events to the 13 iconic album tracks (The Times accorded his Mark Morris Pepperland dance commission as the 2017 Show of the Year). In Ireland from 2012, he has founded the world’s exclusive multi-arts festivals celebrating Irish writers Nobel Laureate Samuel Beckett (Happy Days), Brian Friel (Lughnasa FrielFest) and Oscar Wilde (A Wilde Weekend by Lough Ernest) and Northern Ireland’s first international multi-arts festivals since 1962. As Artistic Director, Seán Doran curated both the largest and longest running multi-arts festivals in Ireland (Belfast, 1997 & 1998) and Australia (Perth, 2000-2003) and the largest ever literature festival staged in the world, the UK Year of Literature & Writing 1995. He opened his 1997 Belfast Festival with Nick Cave & Kylie Minogue in his talks programme and closed with the UK Premiere of Merce Cunningham’s largest work Ocean. He curated first appearances in Ireland of Robert Wilson, Willem Dafoe & The Wooster Group, Trisha Brown, Bill Viola, Laurie Anderson and Romeo Castellucci. 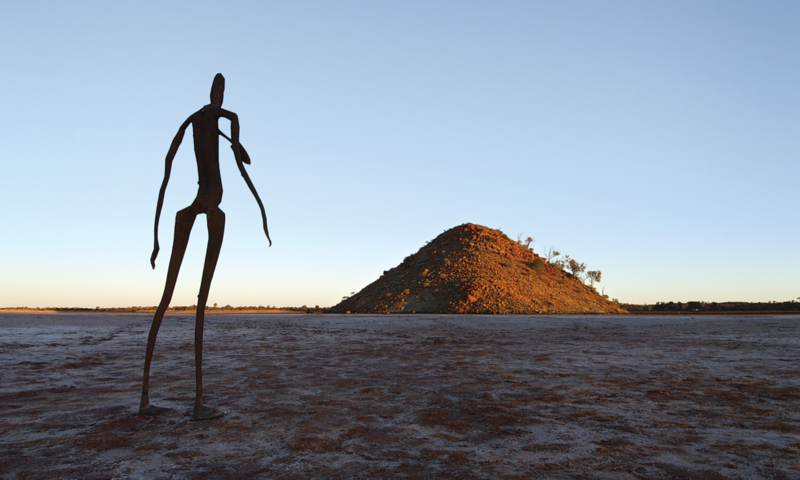 He commissioned the largest ever landscape sculptural installation in Australia, Antony Gormley’s 51 statues Inside Australia, now Western Australia’s premier cultural tourism destination. In 1995, he invited former US President Jimmy Carter as Honorary Patron for the world’s largest literature festival alongside Patrons Paul Simon, Bono, Bjork, Nadine Gordimor, Jane Campion, Salman Rushdie, Saul Bellow, E L Doctorow and Seamus Heaney. Seán Doran hails from Derry, Northern Ireland. He started out as an Irish traditional musician winning the Ulster Championship at age 14. He studied classical music in England at the University of East Anglia where his first conducting and curatorial experiences were Igor Stravinsky’s The Soldier’s Tale and Arnold Schoenberg’s Pierrot Lunaire. In 1985 , he co-founded a music theatre company in London, with the conductor Simon Rattle as its Patron, performing at the Almeida Theatre. He co-authored the first Rough Guide to Ireland (1988), freelance reviewed for the Times and Independent but first began paid work straw-carting and sheep shearing in Kent! In 2001, the Australian Government awarded Seán its Centenary Medal and in 2017 Ulster University awarded him an Honorary Doctorate in Fine Arts. He lives in London with his wife Ruby Philogene MBE, an opera singer and Professor of Voice at the Guildhall School of Music and Drama. He has one son Lughan Doran who lives in Perth, Western Australia.